Honeywell VBN3AH3PRB Three-Way Female NPT Actuated Control Ball Valve. The 1/2" 4.3Cv, VBN3 Three-Way Control Ball Valves control hot/chilled water with glycol solutions up to 50% in heating, ventilating, and air conditioning (HVAC) systems to provide two-position or modulating functions. Ordered with/without factory-mounted actuators. Sizes from 1/2 to 2-1/2 inches with internal (female) NPT connections. Wide Cv choices from 0.33 to 109. Valve installs in a globe valve "T" pattern, no extra elbows or piping required. Nickel-chrome plated brass ball and stem. Equal percentage or linear flow characteristics. Reduced B-port Cv for constant loop flow. Choice of four, factory-installed actuation control schemes: Floating, Modulating (2-10 V), Spring Return 2-Position, Spring Return Modulating/Floating. Field configurable for normally open or normally closed fail-safe position. Removable manual operating handle to control valve during installation or in an event of power failure. ANSI Class IV seat leakage specification (0.01% of Cv). Optional NEMA 3R (IP54) rated enclosure for outdoor applications. 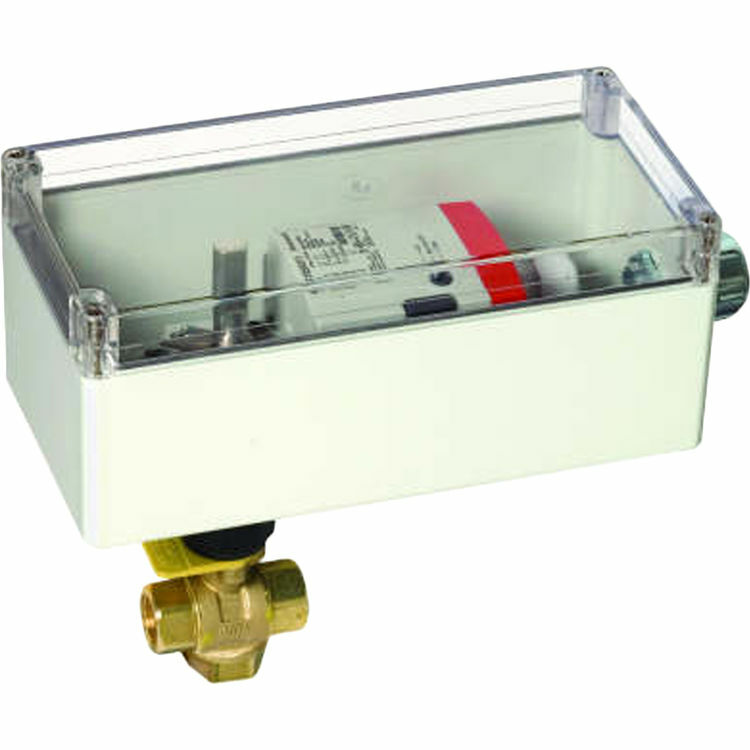 Actuator can be mounted on the valve in any of four positions.